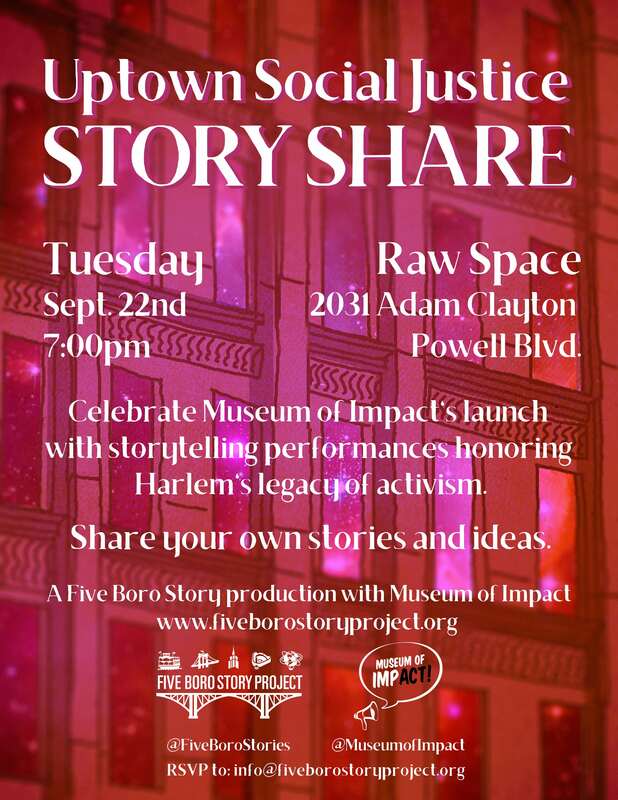 Honor Harlem’s continuing legacy of activism and swap tales with neighbors at “Uptown Social Justice Story Share.” This community storytelling event features true stories that are both uplifting and deeply grounded in place, exploring how social justice efforts can be strengthened in our tumultuous times. Share your own stories and ideas in a participatory story circle! Refreshments generously provided by Accra Restaurant and Harlem Besame. This event has a suggested donation of $5 to support Museum of Impact’s community programming. No one will be turned away for lack of funds. View “Uptown Social Justice” photos HERE.